Give Your Heart a Lift This VDay! It’s the time of year where those with significant others are exchanging sweet nothings and the singles line becomes a little too personal for others. Not to worry, Sierra has fun stuff on tap no matter what your relationship status is this Valentine's Day! 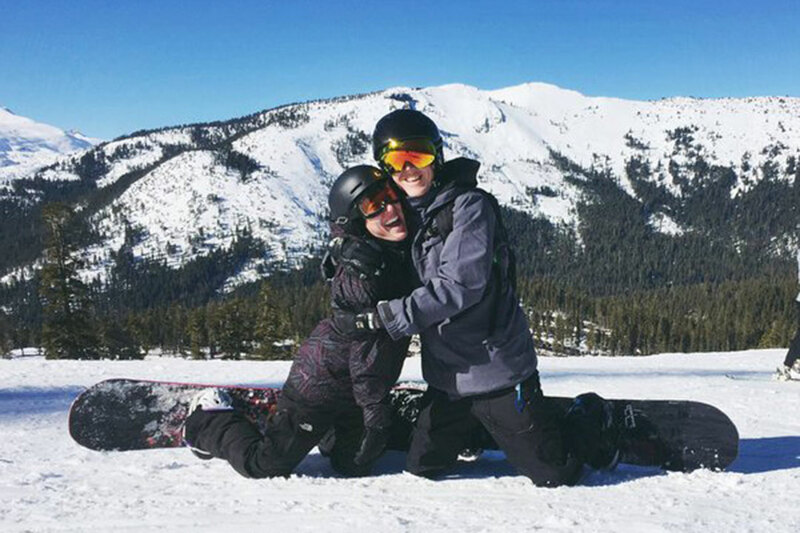 Come on up with your significant other to enjoy the fresh air and make some heart-shaped turns. And if you're single, no sweat! Dial your online dating profile, because we have a deal for you: Match with someone ON THE MOUNTAIN and bring 'em to Guest Services to receive a free lunch voucher! Simply show us the connection on any online dating site… yes, even Farmers Only. More details about our Swipe Right Valentines Day event here . If you score a date, or already have that special someone, take them to enjoy some great music! We’ll have Patrick Walsh strummin’ his guitar in the Sierra Pub from 1-4PM. Come enjoy some great tunes, yummy food and tasty drinks! We’ll be spinning lifts from 9-4 so you have plenty of time to do some speed dating on the chairlifts. Conditions are looking great thanks to a little refresh by Mother Nature, so there’s no better time to come get your shred on. We’ll see you up here!